Club Med has announced plans to open Club Med Ho Tram, its first resort in Vietnam. Revealed at the 2017 Hotel Investment Conference Asia Pacific (HICAP) in Hong Kong last week (Oct 20), the premium resort is located in Vietnam’s Vung Tau Province, near Ho Chi Minh City and is a 90 minute drive from Ho Chi Minh international airport. A premium holiday resort for families and other guests, Club Med Ho Tram is scheduled to open in 2021 and will offer guests a cultural and natural experience. “Vietnam amazed us in many ways – the breath-taking natural beauty and unique heritage showcases the raw potential of the destination,” said Xavier Desaulles, CEO of Club Med East and South Asia Pacific. Desaulles said Club Med is working in partnership with Dynasty Investments to focus on unique opportunities in Vietnam. The companies say this strategic partnership will not only create jobs for the local community and boost the local tourism industry, but also bring to light the hidden wonders of Vietnam. 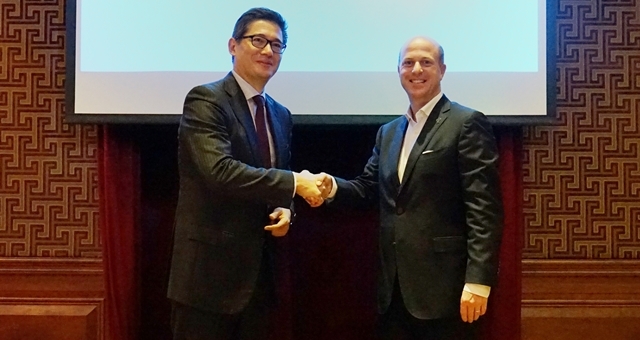 “We are thrilled to bring the Club Med brand to Vietnam and have no doubt that its world class unique all-inclusive hospitality concept combined to Vietnam’s natural beauty, rich history and culture will make this a one of kind tourism offering for both the domestic and international market,” said Dynasty Investments Group Managing Partner, Olivier Do Ngoc. The 13 hectare Club Med Ho Tram resort will offer guests an abundance of sea and land activities, including the Club Med signature Flying Trapeze. Activities designed to create fun and enriching experiences for children will be available at the Children’s Club, a signature feature of the Club Med holiday. Club Med Ho Tram will reflect Vietnam’s unique culture and cuisine, vibrant traditional colours, bustling lifestyle for guests to experience and will be the starting point to the discovery of the surrounding breath-taking landscapes, rich wildlife and brilliant heritage sites of Vietnam. Keeping in line with Club Med’s sustainability and green initiatives, the resort, will be built to the standards of the Green Globe certification. As an organisation that is devoted to the environment, Club Med has successfully undertaken a string of green initiatives this year, including ongoing efforts to preserve the natural conditions of resorts locations. All 8 resorts in Club Med East and South Asia Pacific have been awarded Green Globe certifications. Desaulles said Club Med’s development plans go beyond East and South Asia Pacific. With the planned launch of the first two Club Med Joyview resorts in China (Club Med Joyview Golden Coast and Club Med Joyview Anji) as well as Club Med Tomamu Hokkaido in late 2017, Club Med is well on their way to carrying out an ambitious programme of expansion. This includes plans to open 15 new resorts worldwide over the next three years, and also includes the upgrading or extension of 9 existing resorts.